Catherine Ashcroft leads a quiet life caring for her precocious seven-year-old daughter, until a late-night visitor delivers a startling ultimatum. 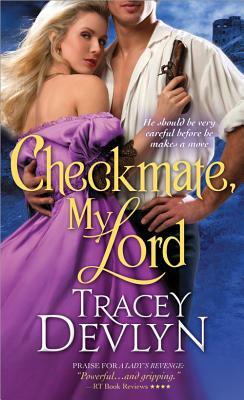 She will match wits with the enigmatic Earl of Somerton, and it's not just her heart that's in danger. Spymaster Sebastian Danvers, Earl of Somerton, is famous for his cunning. Few can outwit him and even fewer dare challenge him-until now. After returning to his country estate, his no-nonsense neighbor turns her seductive wiles on him- but why would a respectable widow like Catherine risk scandal for a few passionate nights in his bed?